Unfortunately, Ho Chi Minh City is not a beach city. Locals, travellers, and expats need to travel to either Phu Quoc or Vung Tau to be able to enjoy a sunny, relaxing, beach vibe. Good thing is that Phu Quoc is only 45-minute fly whilst Vung Tau is only 2-hour drive! 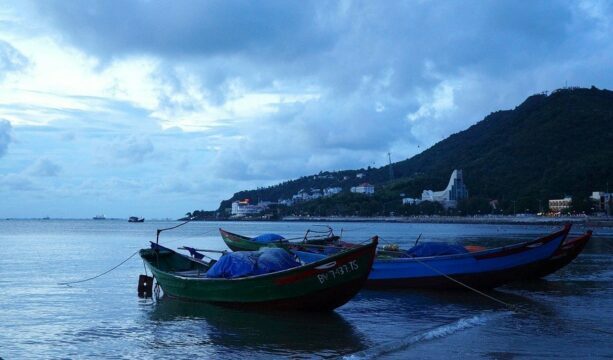 Here, you will find the ways of how to get to Vung Tau from Ho Chi Minh City. There are a lot of buses from Ho Chi Minh City that offers a drive to Vung Tau, throughout the day and every day. The bus station that you want to be dropped off is 192 Nam Ky Khoi Nghia Street. There are minivans and big buses that can take you to Vung Tau from Ho Chi Minh, minivans are known to be faster than the big buses. The travel time with big buses is about 3 hours or more depending on the traffic. The price ranges from 90,000 VND to 180,000 VND ($4-$10). Futa Bus is one of the best buses in the country, they can drop you off and pick you up right at your hotel, they also offer complimentary services such as WiFi and a free bottle of water. Kumho Samco and Sinh Cafe are the other bus companies that travellers enjoy to use every now and then. 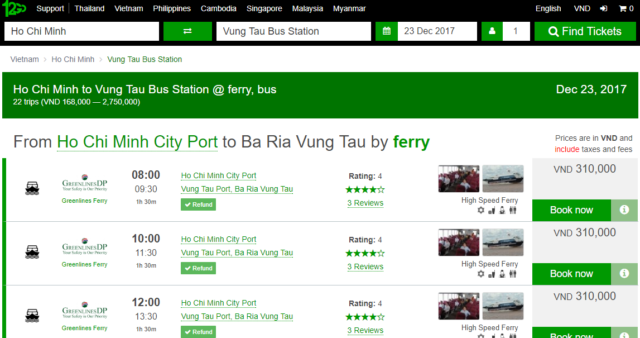 There is indeed a ferry boat from Ho Chi Minh to Vung Tau, which is the best and fastest option as well as the most expensive. Don't fret, it won't break your bank and it's a lot more comfortable! The ferry leaves at Ben Nha Rong Harbour in District 4 just across District 1. There are two companies (Greenlines and Petro Pacific) that offer the service which has their own departing times and prices. Since this information are proven to change often, it is best to check on their website for much accurate information. The prices range between 200,000 - 250,000 VND ($10-$13). Getting to Vung Tau from Ho Chi Minh by motorbike is surely an exciting option too! The distance is less than a hundred kilometre which is definitely doable! However, even motorbikes are widely used in Vietnam, not all expressway allow them to be on the road. On the other hand, it is still possible to get to Vung Tau by motorbike! From Ho Chi Minh City, you have to take the national road QL52 and then take the QL1A in Tan Phu, which actually leads to Bien Hoa, when you reached a crossing in Binh Da, you should take right and travel the QL15, later QL51 which will take all the way to Vung Tau. Taking these roads will add some kilometres on your journey but will assure your arrival in Vung Tau! Along the way, the speed limit is between 40-60 km/hr. I was also advised to take the Ham Thu Thiem tunnel from District 1 which will take me in the road of Mai Chi Tho, then take right at Cond Van Cong which will lead to a ferry crossing. I am not sure if you can take a ferry here on your motorbike or if there is a bridge. If you manage to cross the river, take the road TL769 and change to QL51, which you can drive all the way down to Vung Tau.